EXCLUSIVE! 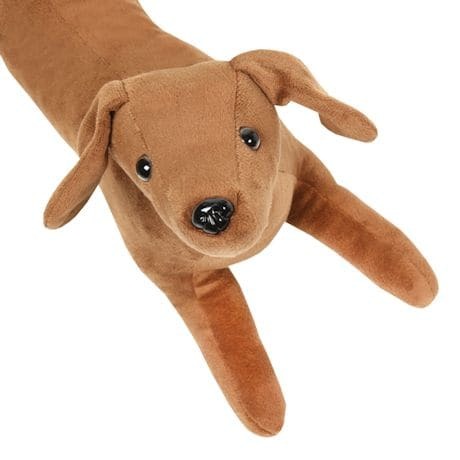 Keep the chill out and reduce your heating costs in the most adorable way with this exclusive, clever draft dodger in the shape of a lovable little dachshund dog! Designed to be a loyal insulator, the soft brown draft doggy body features four gravel weights placed throughout the bottom for stability. Accented by charming ears and a detailed nose, the puppy's head is turned up to reveal a sweet expression as it protects you from the cold breezes that blow under door and window cracks. 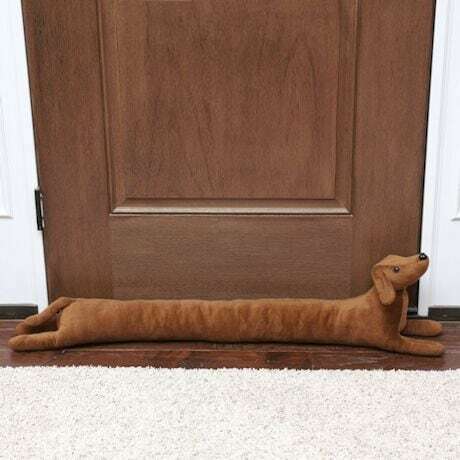 Versatile wiener dog breeze stopper measures 41 1/2" in length total (33" not including the legs), so it fits most standard doors and window sills with ease. Body is a hefty 4" wide for a nice, thick blockade against strong drafts. 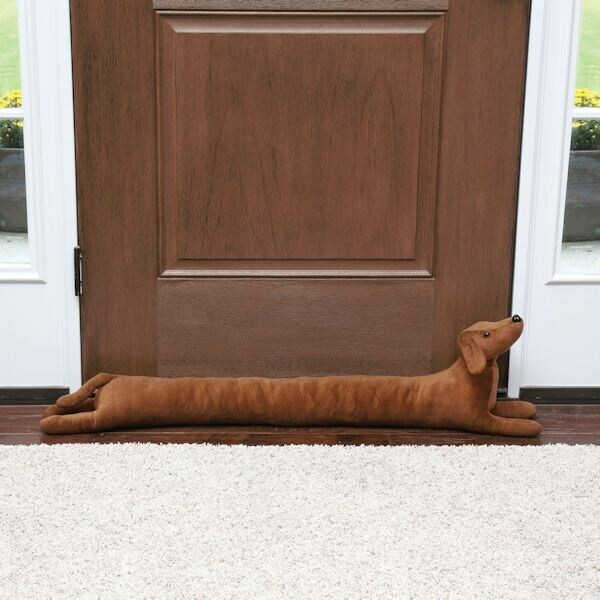 The dachshund draft dodger is equally as effective at preventing cold air from escaping your home in the summer as it is blocking frigid winds from coming inside in the winter, so it makes a useful accent for any room in all four seasons, and a delightful addition to your home decor. Durable pup features an outer 100% polyester shell. Inner material is polyester fiberfill and gravel. 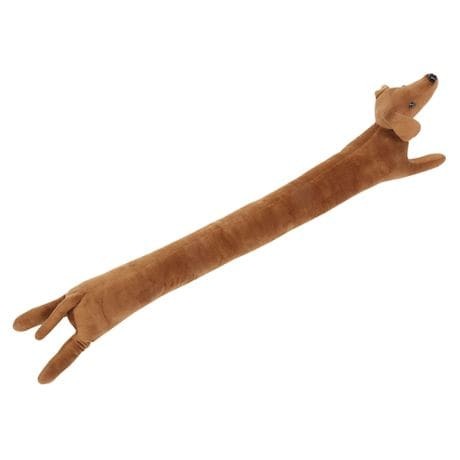 Dog draft dodger is not a toy, and is not intended for use by children due to small parts.